Tottenham boss, Mauricio Pochettino, claimed that the team needs another 'magic guy' who could lead the team to win titles, considering the lack of funds as compared to their rivals. Despite getting knocked out of FA Cup and Carabao Cup, Tottenham are third in the Premier League table with nine points separating them from their league leaders. Two defeats in a row which includes defeat against Burnley and 2-0 defeat against Chelsea all but crushed their title challenge this season. Yet Mauricio Pochettino had done a splendid job since his arrival. Under his guidance, Tottenham are regularly challenging for trophies and are well poised for a Champions League spot, unlike his predecessors. 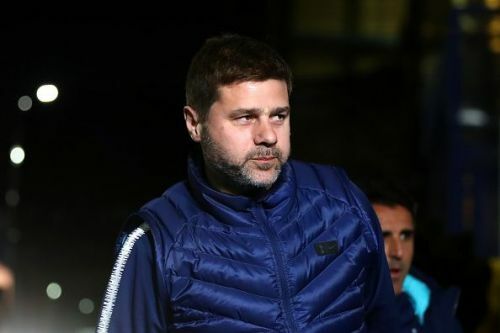 Pochettino's squad is also flourishing in Europe as their results in the UEFA Champions League depicts- they are well poised to qualify into the next round after a comfortable 3-0 win against Dortmund. There is no doubt that Tottenham are a force to reckon with in England and in Europe, even without spending almost nothing in the previous two seasons. Mauricio Pochettino indicated that it is unfair to belittle his achievements, stating that the team needs a 'magic guy' to win trophies. Whereas teams like Manchester City, Liverpool, Arsenal, Manchester United has spend huge amount of money to upgrade their teams, Spurs' has build a team on their own without reinforcements. “You can see when people judge us and put pressure on us if we have not won a trophy. Is that fair or not fair? If we compete with the same tools or different tools?” Pochettino said speaking before their crucial clash against Arsenal as quoted by Telegraph. “That’s why I told you that, maybe, if [chairman] Daniel [Levy] said to me next season, ‘we need to win a title, we need to win the Champions League and we need to win the Premier League’ then maybe you need to find another magic guy who can do this.”, the Argentine coach added. Mauricio Pochettino will look to continue his good work and consolidate his team's place in the Top four as they face Arsenal in the North London Derby. After that, Pochettino's Tottenham will face Dortmund in the second leg of Champions League round of 16. Premier League 2018-19: What do Arsenal need to do to win against Tottenham this weekend?